On July 30, 1965, President Lyndon B. Johnson signed into law the landmark bill creating Medicare and Medicaid. In honor of the 50th anniversary of Medicare and Medicaid, Donald M. Berwick, MD, who served as administrator of the Centers for Medicare & Medicaid Services (CMS) from 2010 to 2011, provided insights into Medicare, the federal health care program for elderly Americans. 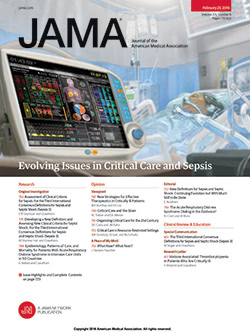 Dr Berwick serves on JAMA’s editorial board and is president emeritus of and a senior fellow at the Institute for Healthcare Improvement (IHI) in Cambridge, Massachusetts.